Many of Mac OS X Lion's features have been known for months, but Apple has snuck in at least one interesting new feature called "Restart to Safari". On Mac OS X Lion's user lock screen, you are given the option to "Restart to Safari" rather than logging in. This allows you to boot the computer into just the web browser and nothing else. This browser only mode allows unauthorized users to simply browse the web through Safari rather than having access to any personal files or other applications on the machine. 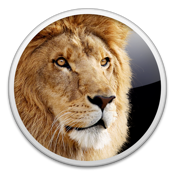 Of course with Lion's new auto-save and application restore feature, returning users will find themselves back at the same place they were before the restart. This browser-only mode is reminiscent of Google's lightweight Chrome OS which is designed to offer the user a web-only based operating system.